Somerset climbed into second spot in the Specsavers County Championship as they defeated bottom placed Worcestershire by 141 runs on the final day at Blackfinch New Road after record-breaking resistance from debutant centurion Alex Milton and Steve Magoffin. Jamie Overton and Josh Davey looked to have broken the back of the Worcestershire batting by taking four wickets in the space of 15 balls inside the first hour after they had resumed on 50 for two. They were aided this morning by undistinguished shots from some of the top six Worcestershire batsmen. But wicketkeeper Milton, standing in for broken rib victim Ben Cox, kept them waiting until after tea with superb support from Steve Magoffin in a Worcestershire record stand of 136 for the last wicket against any opposition. It beat the previous best of 119 by William Burns and George Wilson in 1906 – coincidentally also against Somerset at New Road. Then the Cardiff MCCU captain went to his hundred by clipping Craig Overton off his legs for his 15th boundary to go with one six. It came from 172 balls. But Somerset ultimately sealed their fourth win in eight games when Magoffin was dismissed by Craig Overton for 43 shortly after tea to leave Milton undefeated on 104. They have moved above Nottinghamshire to become the nearest challengers to title favourites Surrey. There were many pluses for the visitors throughout the game but the most heartening sight was the form of Jamie Overton. He has been gradually eased back to fitness via the Royal London One-Day Cup and Vitality Blast and here bowled with pace, aggression and accuracy. He ended the game with figures of 31-6-143-8 and received superb support from the equally effective Davey with seven wickets. On the batting front, new overseas player Azhar Ali made an instant impact with a century on his debut while Marcus Trescothick, James Hildreth, skipper Tom Abell and keeper Steven Davies also made sizeable contributions. 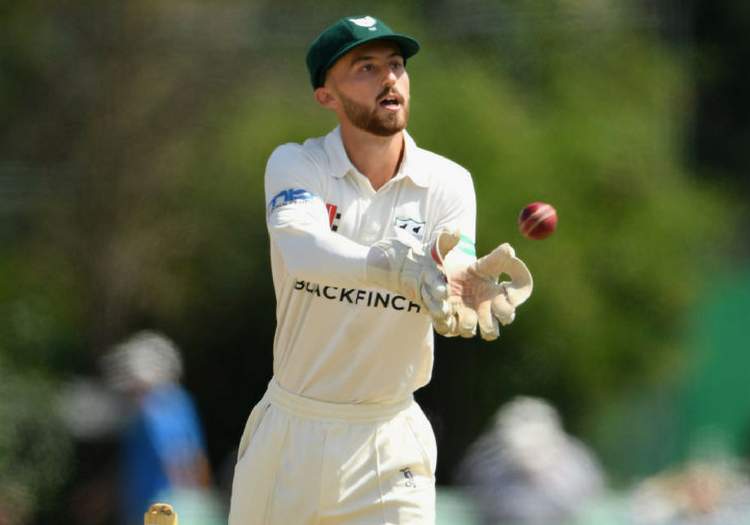 For Worcestershire all is not lost despite being outplayed until the closing stages since having Somerset at 115 for four early in the afternoon session on the first day after putting Somerset into bat. They are still in touch with the teams above them in the battle to stay up but there will have to be a improvement in their overall performance although England spinner Moeen Ali’s eight wicket haul was encouraging. Milton also kept tidily on his Championship debut. Worcestershire had been rocked by the dismissal of Moeen to the final delivery yesterday evening and quickly ran into trouble today. Davey was the first to strike as England Lions batsman Joe Clarke (5) played down the wrong line and was bowled. Then Jamie Overton struck with successive deliveries as Travis Head and Ed Barnard perished to expansive shots. Head, in his final Championship innings for Worcestershire, had moved onto 46 but then threw his bat at a wide delivery and nicked through to keeper Steven Davies. Barnard then aimed a drive at another tempting delivery from Jamie Overton and this time Trescothick pouched the chance at second slip. Milton blocked the hat-trick ball but it was not the end of Worcestershire’s woes. In the next over skipper Brett D’Oliveira edged Davey into the safe hands of James Hildreth at first slip. Milton and Ross Whiteley tried to salvage some pride and looked reasonably secure in defying the Somerset attack for 20 overs. The returning Jamie Overton broke the partnership when Whiteley (39) was caught behind to leave Milton unbeaten on 31 at lunch. Somerset moved closer to victory after the resumption with Jack Leach striking twice in the same over. Luke Wood (13) drilled the ball to Peter Trego at mid-off and Dillon Pennington (0) drove at the spinner and the ball bounced up off Trescothick kneeling at slip to keeper Davies. But last man Magoffin accompanied Milton in providing more defiance until former sliced Craig Overton to backward point.